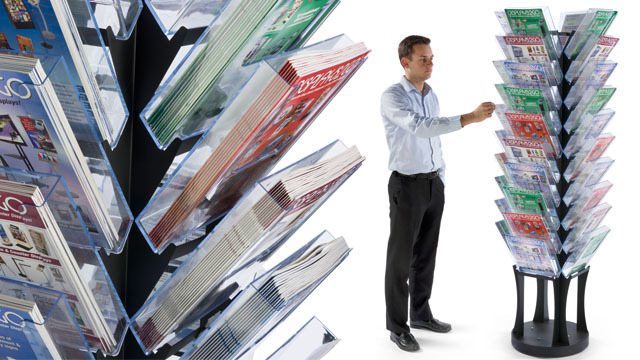 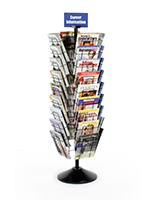 These revolving magazine holders are a great way to store and organize literature in your store or commercial setting. 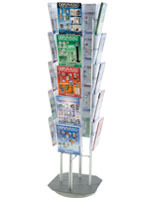 The aluminum base is stable and durable for high-traffic areas. 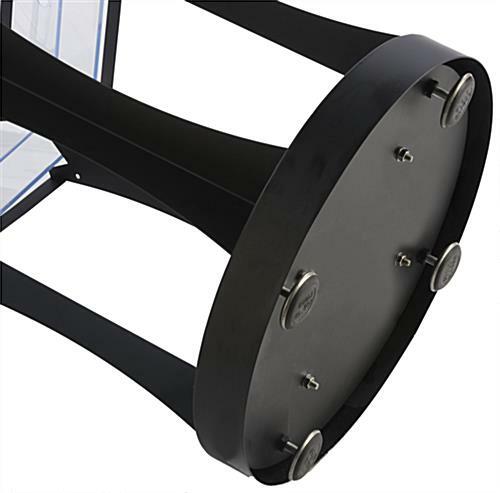 Each black holder comes with 40 polycarbonate pockets. 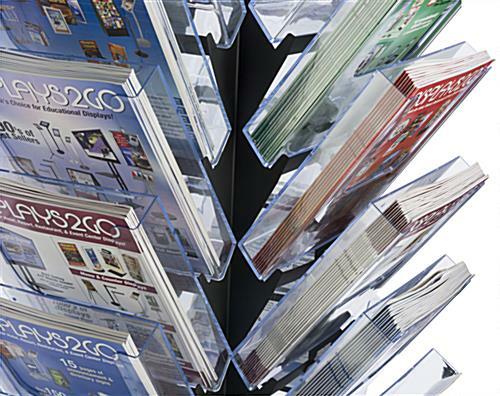 Each of the pockets is designed to hold 8.5" x 11" magazines securely. 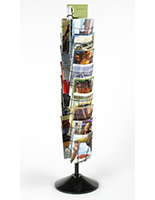 The holders rotate 360 degrees to make browsing a breeze! 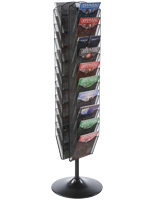 Order the 66" tall racks for your store today! 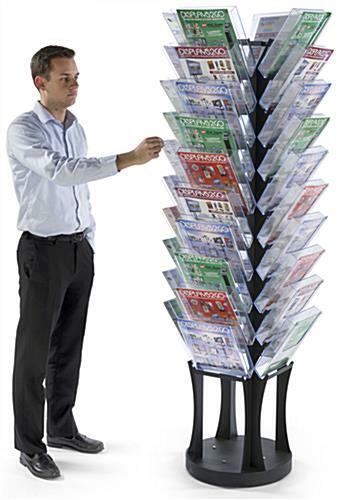 22.5" x 66.4" x 22.5"
8.8" x 9.4" x 1.6"